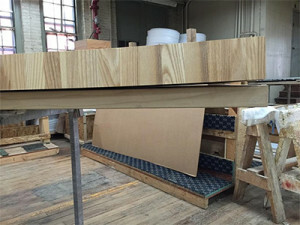 We field occasional calls from customers complaining of warp in their butcher block tops. While it may appear that a warped top is defective and unusable, the truth is warp is often a symptom of the environment and a problem that can be easily remedied. Wood is a living material and hygroscopic, meaning it gains moisture in a damp environment and loses moisture in a dry environment. When moisture is gained or lost in an unbalanced manner, wood warps. The Wood Welded Companies carefully dry our lumber so that we can reduce the potential for warp. Unfortunately, that potential is still there in every top. When you realize that warping (and cracking which can be a symptom of warping) is caused by a moisture imbalance, it becomes easier to diagnose the problem. Did you order top oiled? Tops that are oiled or unfinished are highly susceptible to warping, especially during the humid summer months. If butcher block tops are not oiled regularly, they will warp and eventually crack. So how often do you need to oil your top? Once a day for the first week. Once a week for the first month. Once a month forever. Did you cut the butcher block top? It is extremely important to ensure that all sides and edges of a finished butcher block top receive an equal coating of finish. 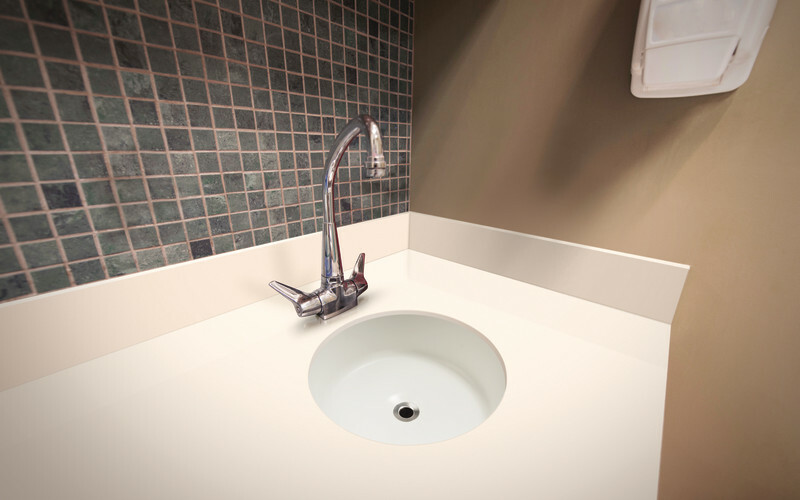 Often, customers will cut out a sink or range and leave the cut edges exposed. Those exposed edges allow for moisture to penetrate the top, thus causing warp. After any cutting, apply a few coats of the Good Stuff to cut edges after sanding. Is the top installed on a substrate? Butcher block needs exposure to air on both the top, and the bottom. If you are planning on installing your top over a substrate of any kind, please be sure to add a few washers so that air can move freely beneath the top. Has your top recently moved from one state to another? There is a chance that humidity levels in the air has caused the top to gain or lose moisture. Place the butcher block indoors on a pair of sawhorses, with the warp faced down. As the wood acclimates to its new environment, it will straighten. While these are all common conditions that may cause warp, there are others. In the end, an imbalance of moisture from top to bottom is the cause of warp. Bringing the moisture levels back to normal will return the top to flat. 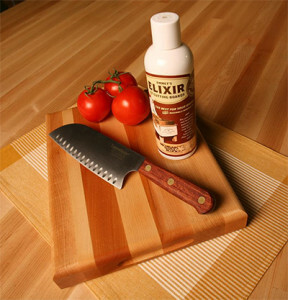 Wooden cutting boards are one of the most used and beloved of kitchen tools. If kept clean and maintained, a cutting board can last for generations. Never soak your boards in water or put them in a dishwasher, or they will crack or warp. Wood is naturally antimicrobial, meaning that the wood will naturally kill the food-born bacteria that make you sick. If you feel the need to clean your board to ensure against contamination, try a weak bleach solution or hydrogen peroxide after using your board instead of the dishwasher. Wood boards need oil to keep them from drying out. Boards should be oiled on a weekly basis until they are ‘seasoned’, then bi-monthly. Most oils, however, are prone to rancidity. Stick to mineral oil, a food-safe product that can be purchased in almost every kitchen supply store. You can also our Emmet’s Elixir (see sidebar). Refinishing an old cutting board is simple. Allow the board to completely dry before sanding with a 50-grit sandpaper. Once all the top layer of wood is removed and the scratches are buffed out, follow with a 100-grit sandpaper to smooth the surface. Oil your cutting board and you have a brand new cutting surface. 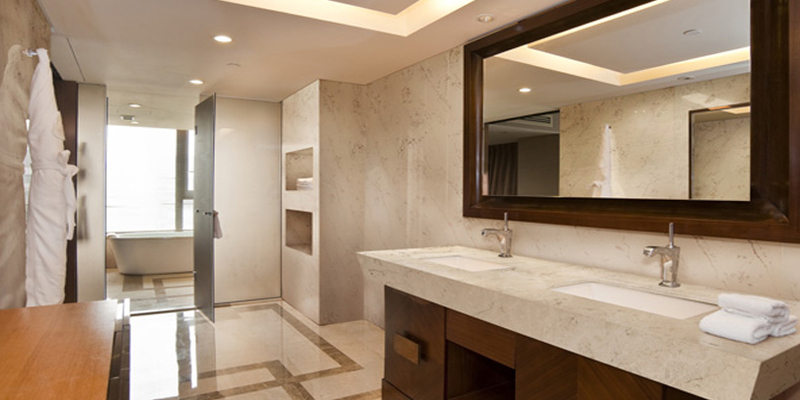 Elegant, versatile and durable solutions now added for residential and commercial designs. H.J. 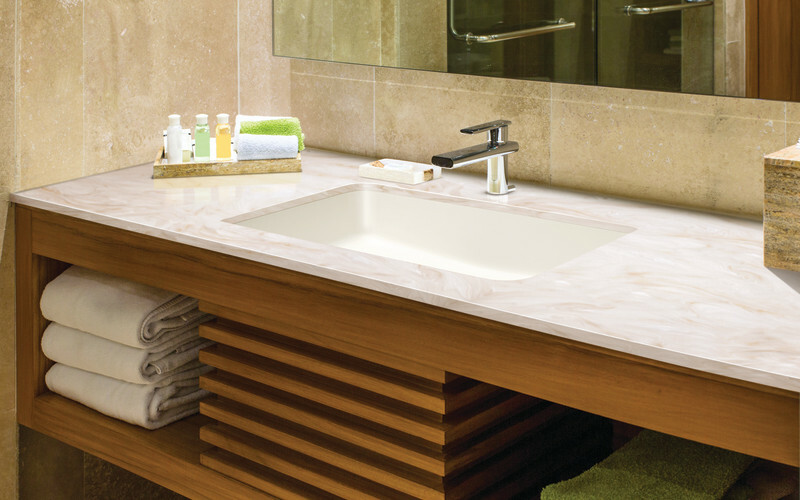 Oldenkamp is excited to announce the launch of ten new Corian® sinks and lavs – now providing 35 unique options. 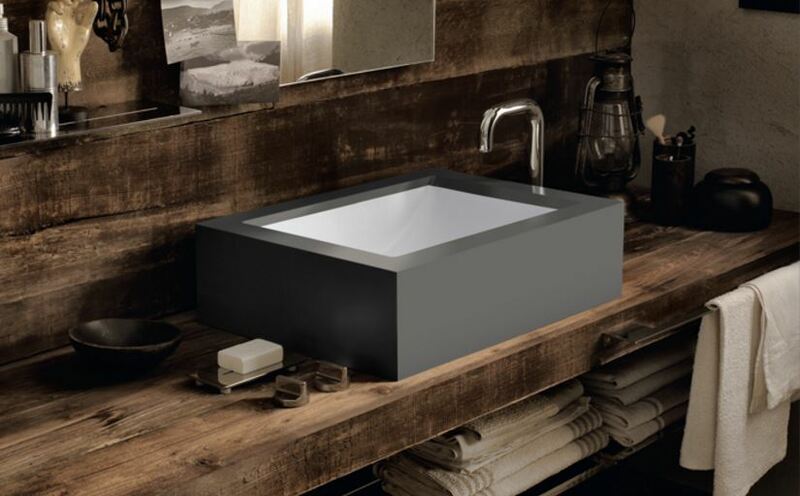 This is the largest sink introduction to date in North America! Five of these new shapes are targeted mainly for the commercial market, with a primary focus on the healthcare segment; expanding into new applications within healthcare facilities. 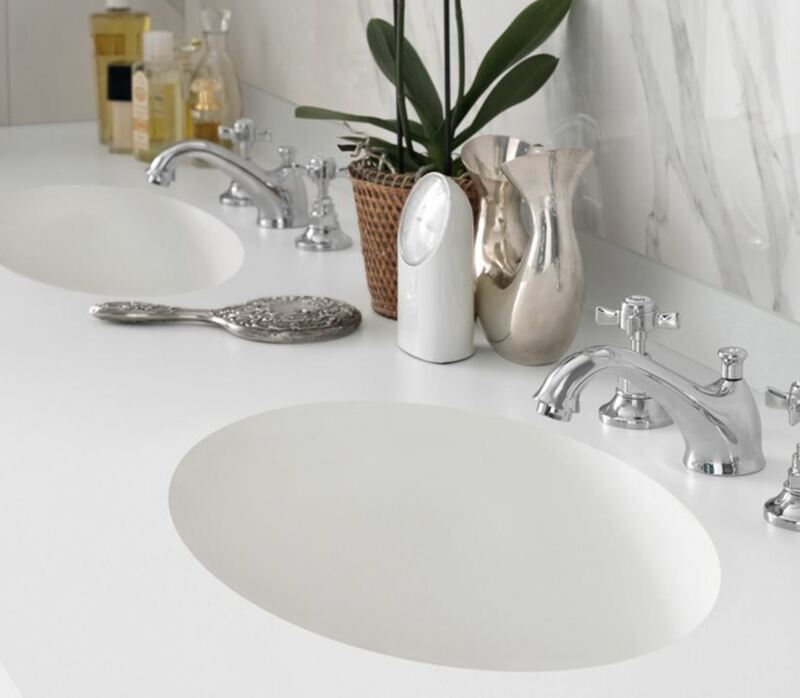 The other 5 new shapes are targeted toward the residential market; inspired by the latest design trends including large rectangular styles with modern, tight radius corners. All new shapes are made from acrylic-modified polyester and available in four colors. Contact an Oldenkamp representative for more details. 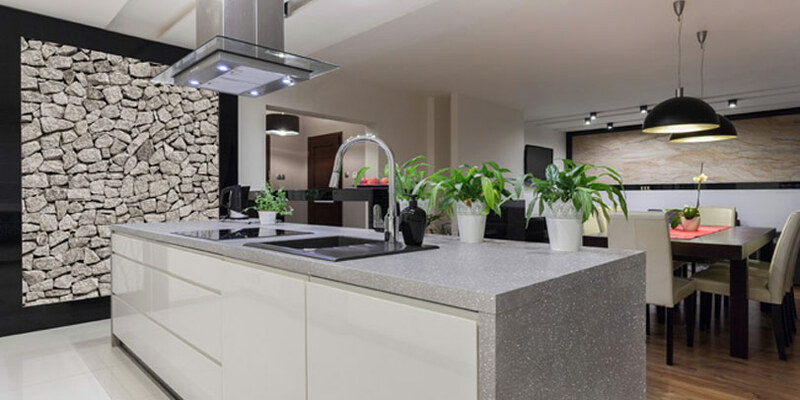 Set your DVR for the newest season of the hit HGTV show “Property Brothers – Buying & Selling” featuring DuPont™ Corian® and Zodiaq® surfaces. Episodes air Wednesday nights at 9PM EST for the next nine weeks. You can view the product brands used after each Property Brothers episode on their FaceBook page. DuPont recently launched an important brand advertising campaign, “That’s Progress”, to refresh perceptions of DuPont and help position the company as one of the most meaningful, purposeful, and forward-looking in the world. 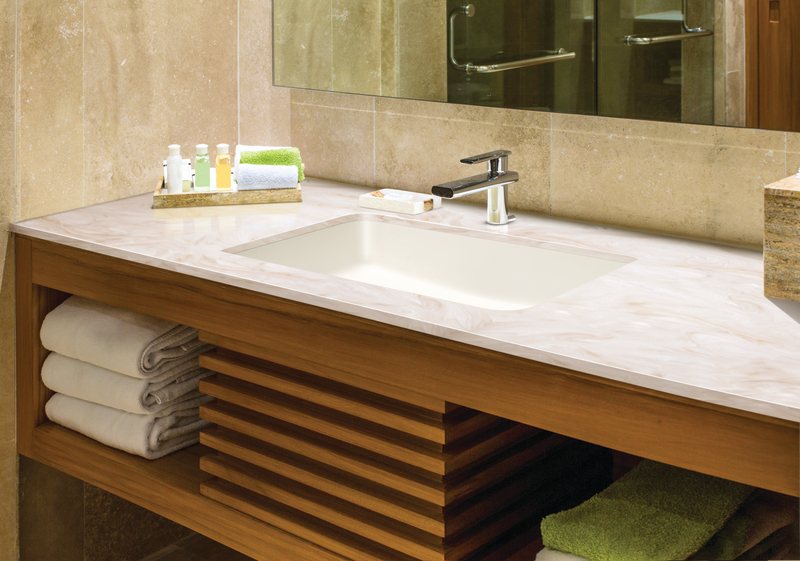 We are excited to share a new DuPont™Corian® commercial that will begin to air nationally in North America. This 60 second advertisement highlights the benefits of Corian® in a healthcare facility to not only protect from the spread of infectious disease but also how color and light can impact a patient’s recovery. The commercial will also be promoted through DuPont’s social media channels, Facebook, Linked in, Twitter and You Tube. 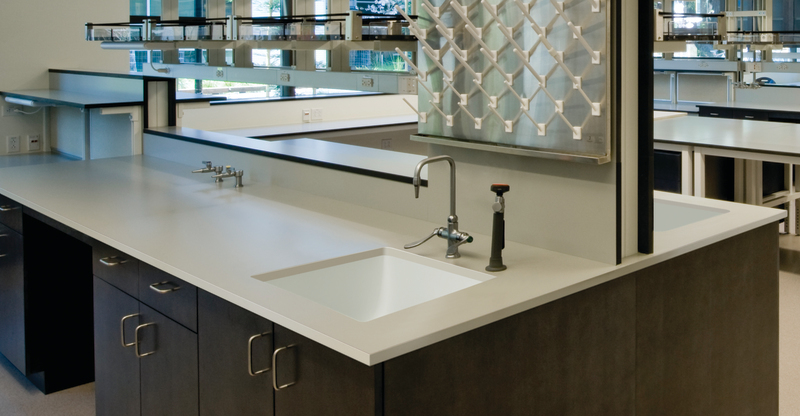 This is the first of a two-part series promoting Corian®. A two minute mini-documentary will air later this year on the award winning series, BBC Horizons. Look forward to more details to come! 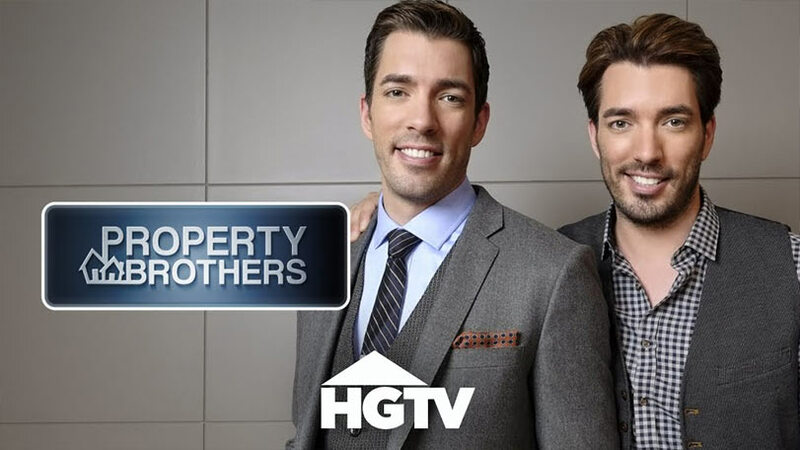 We are excited to announce that Corian® and Zodiaq® were selected to be the exclusive countertop suppliers for the upcoming season of Property Brothers – currently one of the most popular shows on HGTV. The Pantone Color of the Year, Marsala, is described as having the “richness of a fulfilling meal while its grounding red-brown roots emanate a sophisticated, natural earthiness.” DuPont™ Corian® solid surface and Zodiaq® quartz surface patterns offer excellent and gratifying “on-trend” color coordinates to this hue, enhancing both commercial and residential spaces. Keep the feeling light by allowing the small flecks of deep red found in Zodiaq® Cappuccino and Flax to enhance the color story. In addition, Corian® Whisper delivers subtle pattern and modest color coordination for a delicate appearance. 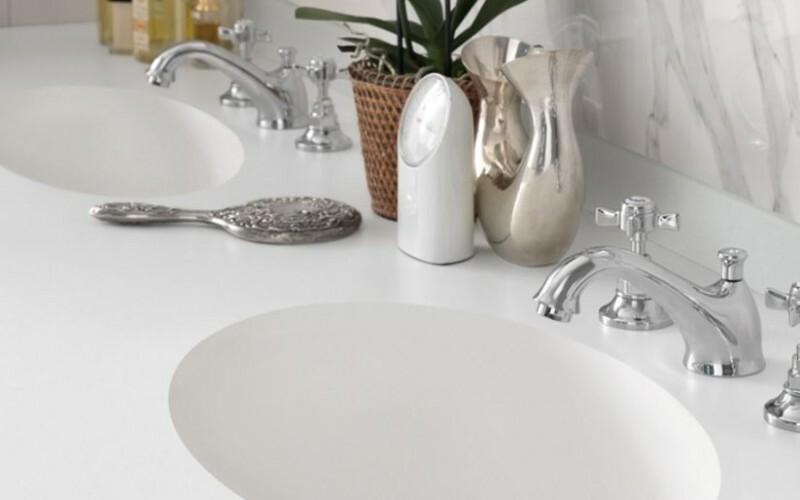 Ideal for hospitality, as well as home, the patterns’ particles offer a natural look without appearing too heavy. Maintaining the warmth of the hue is an easy task with both pattern and solid color. 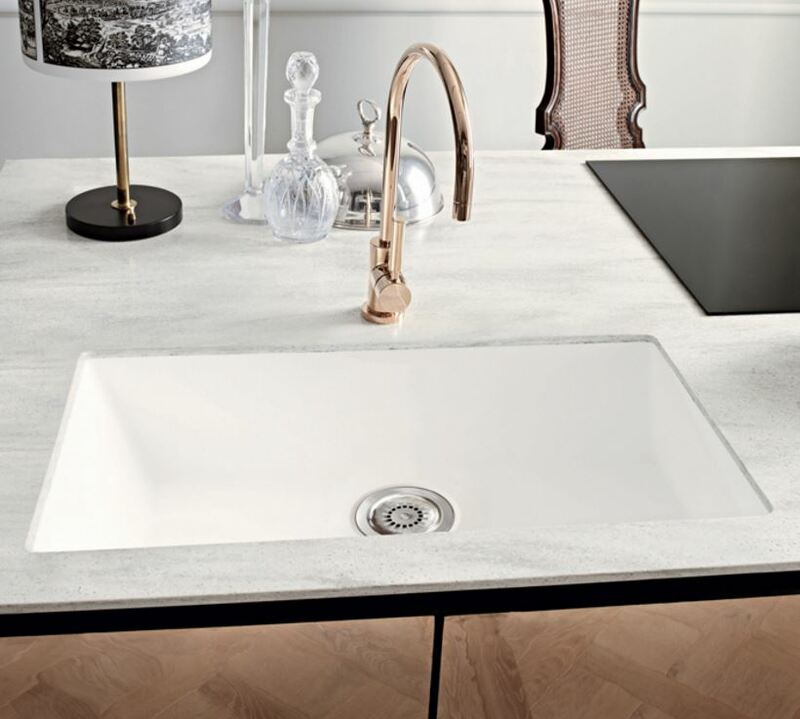 Zodiaq® Saddle Brown and the new Corian® introductions of Elegant Gray and Deep Espresso are rich counterparts to Marsala, because they are earthy and sophisticated. They can be excellent considerations for restaurants and home dining, as well as traditional office and home. 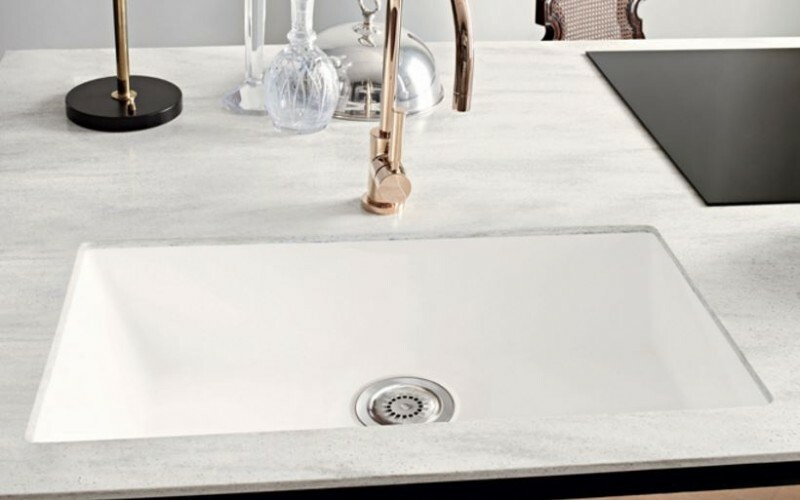 The aesthetic can move from traditional to contemporary with the crisp styling of Corian® Pearl Grey, Ecru, or Concrete. 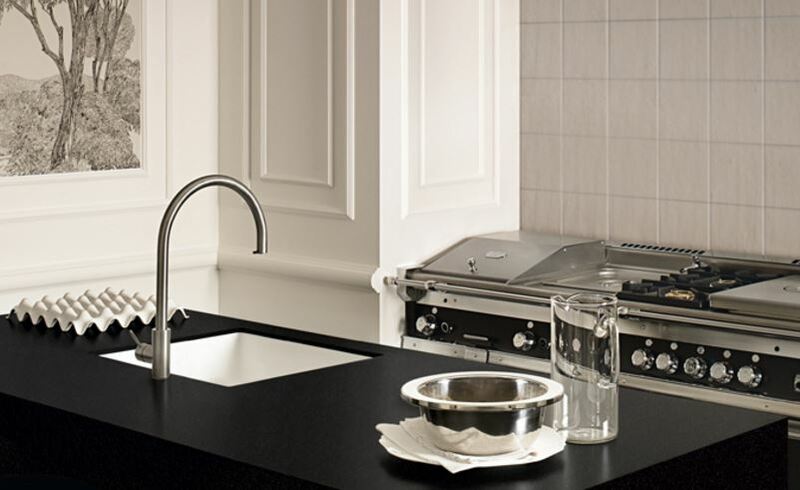 The urban influences of the patterns in Zodiaq® Gravel and Coarse Pepper offer a modern edge to the hue. 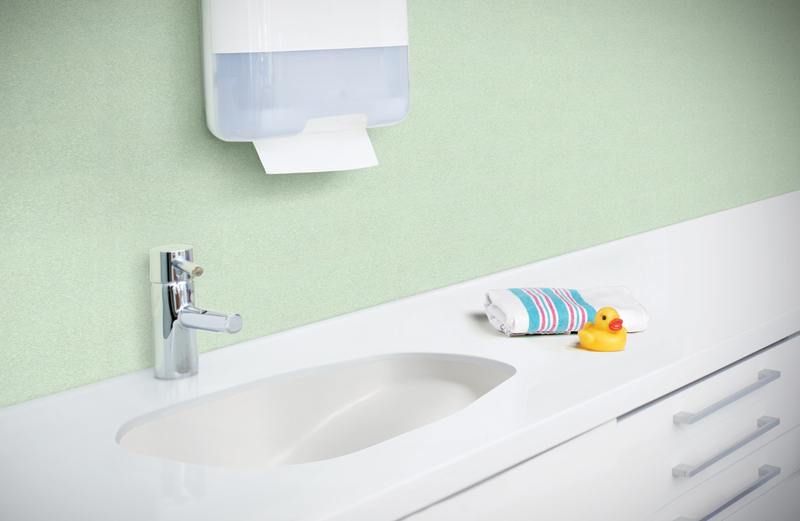 Whether in the office, retail, living room or bath, the appearance is modern and crisp. Click here to visit the Pinterest inspiration board. 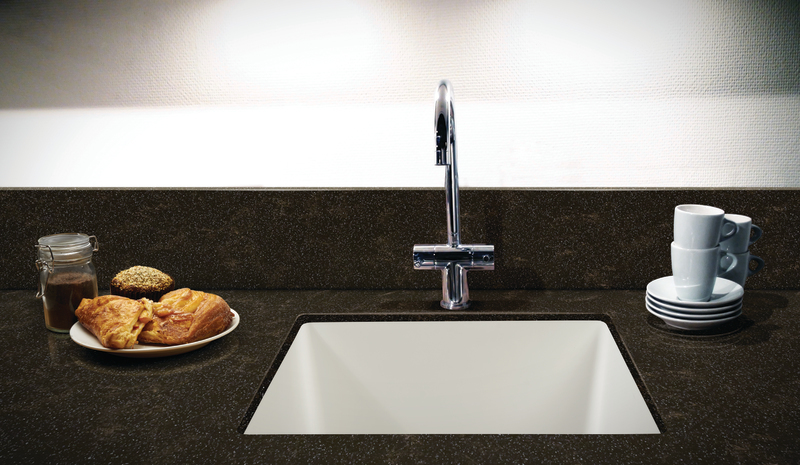 Click here for the “Coordinating Marsala with DuPont Corian® and Zodiaq®” information page.